The immune system is actively finding ways to prevent viruses, bacteria and infected cells from affecting our health. NEW YORK, NY, UNITED STATES, January 31, 2019 /EINPresswire.com/ — When our immune system is weak, some viruses can "hide" inside certain cells in our bodies and avoid being totally removed by the immune system. Some viruses can do this for a long time. The best flu prevention strategy is basic — good nutrition (including taking natural health supplements), regular exercise, and enough sleep. You can also wash hands frequently and avoid people who have the flu. Still, it's hard to prevent contact with microorganisms (germs). Therefore, the best way to prevent the flu and other diseases is by keeping yourself healthy. The single best way to prevent seasonal flu is to adapt good health habits like covering your cough and washing your hands often can help stop the spread of germs and prevent respiratory illnesses like the flu.9 There also are natural health supplements like Fucoidan with antiviral properties that can be used to treat and prevent the flu. The different types of Fucoidan (Mozuku, Mekabu and Fucus) offer the nutrients you can take to protect yourself and others from flu and help stop the spread of germs. Recent studies focused on antiviral compounds obtained from natural resources. Many extracts from brown seaweeds have been isolated and tested for pharmacological purposes, and their antiviral activity has been demonstrated in vitro and in vivo. Fucoidan is a sulfated polysaccharide present in the cell wall matrix of brown algae that has been demonstrated to inhibit certain enveloped viruses with low toxicity. One important study evaluated the potential antiviral activity and the mechanism of action of fucoidan from Cladosiphon okamuranus against Newcastle Disease Virus (NDV0 in the Vero cell line. 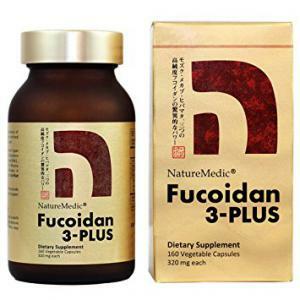 In conclusion, besides the ability of Fucoidan (Mekabu, Mozuku and Fucus) to enhance the immune system naturally, they are also able to produce higher antibody titers against all three strains of influenza. The immune system is compromised in people with a weak immunity, still there are healthy habits like taking Fucoidan on a daily basis that can be adapted to be healthier and to avoid getting sick too often. 1. CDC. Influenza – Flu symptoms & Complications. Oct. 20, 2017. 2. World Health Organization. Influenza. Oct. 2, 2014. 3. 3 Centers for Disease Control. Transmission of Influenza Viruses from Animals to Humans. Aug. 19, 2014. 4. CDC. How the Flu Virus Changes. 5. CDC. Types of Influenza Viruses. Sept. 27, 2017. 6. Nordqvist C. Pandemics: Past, Present and Future. Medical News Today Jan. 11, 2016. 7. Taubenberger JK, Morens DM. 1918 Influenza: The Mother of All Pandemics. Emerg Infect Dis 2006; 12(1): 16-22. 8. CDC. Influenza – Flu symptoms & Complications. Oct. 20, 2017. 9. Centers for Disease Control. Estimates of Deaths Associated with Seasonal Influenza — United States, 1976—2007. MMWR Aug. 27, 2010, 59(33);1057-1062. 10. CDC. Estimating Seasonal Influenza-Associated Deaths in the United States: CDC Study Confirms Variability of Flu. Dec 9, 2016. 11. Cumashi A, Ushakova NA, Preobrazhenskaya ME, D’Incecco A, Piccoli A, Totani L, Tinari N, Morozevich GE, Berman AE, Bilan MI, et al. Consorzio Interuniversitario Nazionale per la Bio-Oncologia, Italy. A comparative study of the anti-inflammatory, anticoagulant, antiangiogenic, and antiadhesive activities of nine different fucoidans from brown seaweeds. Glycobiology. 2007;17:541–52.